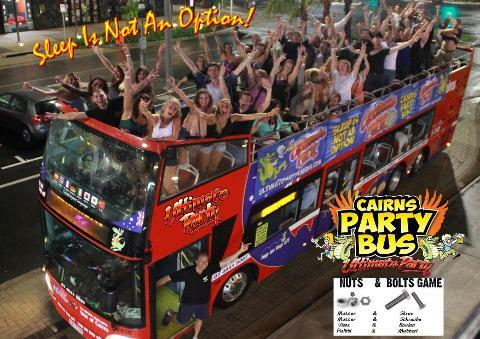 Avoid the queues and be treated like a VIP on Cairns 2018/19 New Year’s Eve Ultimate Party Tour! 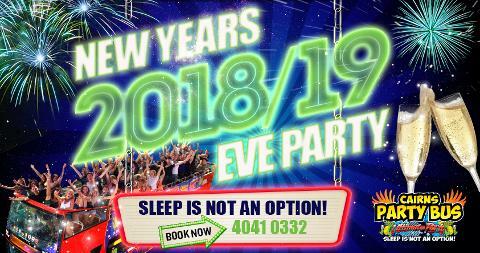 You book the tour and bring yourself and mates (optional) we supply everything else, including a mad crowd of people just as keen to celebrate the New Year in style! The bus has a 5000 watt Pumping sound system which will take you around town and spend 90 mins in each of the 4 venues. The last 4 yrs have sold out with a max of 300 people on each tour. The main difference between them is the starting times. 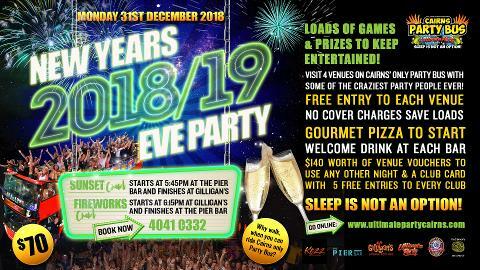 They will all have Free Gourmet Pizza at the start of the night with a welcome drink at each venue, Free entry to all of the clubs and the best part is the cue jumping-no lining up, loads of games and prizes and just a top night out…. 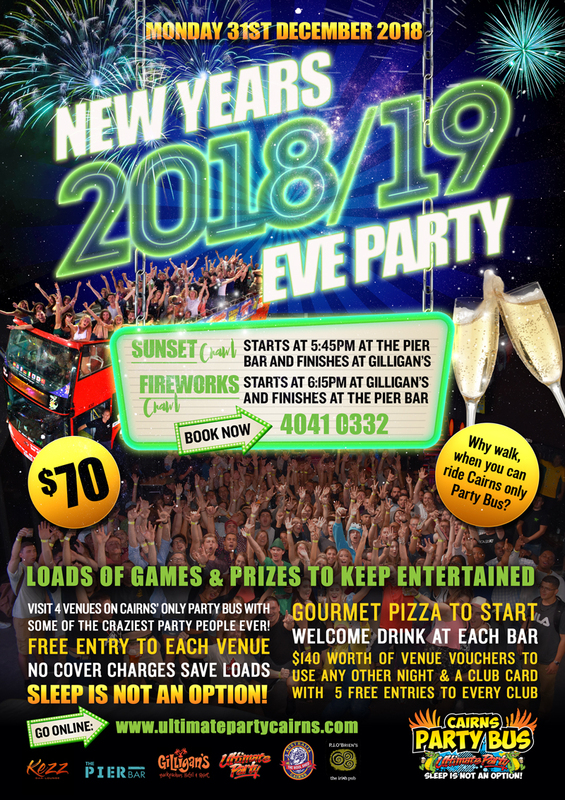 You will also receive a “Party Pack” which has $140 worth of Match n Play vouchers to spend at bars, and a nightclub card with 5 entries to all the bars around town for any other night.